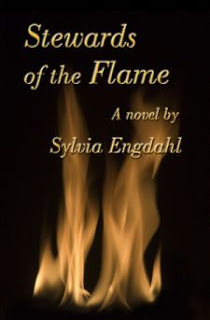 Win a Signed print book by Sylvia Engdahl! I have always been frustrated by the labeling of novels by genre. I don't mean “genre” in the sense of attempts to distinguish science fiction from fantasy, or either of them from horror. I'm referring to the unbridgeable division between all three and mainstream fiction. In many respects this is disastrous in terms of getting fiction into the hands of the readers who would most enjoy it. Think about it. Are historical novels arbitrarily separated from the mainstream in such a way? I've had people tell me that yes, historical fiction is a genre; but from the editorial and marketing standpoint it is not. Bookstores and websites rarely have separate sections labeled “Historical Fiction,” set apart where general readers never browse. Even more significantly, historical fiction is not issued by separate editorial departments--or by specialized publishers--as science fiction is. Yet just as portrayal of the past is of interest to a wide variety of readers, so is speculation about the future. At least in principle it is, provided it's written in such as way as to be intelligible to the average educated person. I'm not saying there isn't a place for science fiction that's directed to a more specialized audience--of course there is. I was once told that I would have to slant my work toward people who have read at least 500 science fiction novels previously in order to succeed in the field, and I'm sure that's true. The needs of people who have read 500 science fiction novels are obviously different from those of readers who read only an occasional one. What I object to is the rule whereby any story set on another planet is automatically classed as science fiction and judged by the standards of specialists, regardless of its potential appeal to the general public. This prevents books not written specifically for fans of the genre from being widely read, and prevents others from being published at all. It also prevents the majority of readers from encountering any fiction about the future apart from Star Trek. For a writer who wants to reach the people who aren't already thinking about the future, there is no satisfactory solution to this problem. What I initially chose to do was write Young Adult novels, a field within which genres are not separated -- at least for editing and marketing they are not, although unfortunately the separation often occurs on library shelves. (For example, the latest edition of my YA novel Journey Between Worlds, which is a romance for teens about the colonization of Mars, got enthusiastic reviews at romance websites, but libraries labeled it science fiction and so the girls most apt to like it didn't find it.) My novel Enchantress from the Stars became a Newbery Honor Book, has won others awards, and is quite well known; but it's often viewed as fantasy--although there's no fantasy in it apart from the style in which some of it's told--and its speculation about relationships between extraterrestrial cultures are not taken seriously. Moreover, unlike most other YA science fiction successful in hardcover, none of mine was picked up for mass-market paperback reprint; it was not “far-out” enough to please the majority of science fiction fans. This was intentional. It was meant to interest people who don't read other science fiction, many of whom told me that to their surprise, they liked mine. It was not meant to “turn kids on to SF” with the expectation that they would graduate to more esoteric material, as some commentators assumed. The time came when I got tired of oversimplifying my ideas to the extent of making them understandable to young teens (though I never fully succeeded in that respect, and many adults enjoy my YA books). But for a novel about the future on another world to be published in the traditional way as adult SF, it must by definition fit the requirements of the specialized science fiction publishers. It must either be action/adventure fiction, or be far enough from reality in terms of the culture and concepts portrayed to strike people with extensive science fiction background as innovative. And this is where I part company with everybody else who writes about the future. I'm not willing to limit my audience in that way--though by refusing to do so, I unavoidably limit it by market considerations. 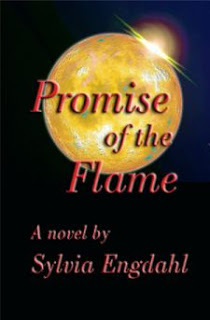 My only recourse was to publish Stewards of the Flame and its recently-released sequel Promise of the Flame myself. The prejudice against self-published novels, even when written by authors who have formerly been published traditionally, is a topic I won't deal with here--I was aware of it, of course, but I am not young and I wanted these books to be read within my lifetime; waiting for the market to change was not an option for me. I happen to have desktop publishing skills and to have worked as a professional copyeditor, so I personally produced the files from which the books were printed. But has Stewards of the Flame reached the people I hoped to reach? No, because despite the timely issue it deals with, it's categorized as science fiction and its reviews appear under that heading--and thus other readers don't know it exists. If it hadn't gotten good reviews, I wouldn't complain about its small audience. The frustrating thing is that Stewards of the Flame has received excellent reviews, albeit mainly online because most print media won't review self-published books. (Quotes from them are at www.adstellaebooks.com if anyone is curious.) On the whole, it gets better reviews from the non-specialists it was meant for than from science fiction fans, although it's had some favorable ones from SF reviewers, too. Yet a review does little to increase awareness of a book if it's posted where few members of the intended audience will see it. This is why genre labeling is so troublesome--not only to cross-genre authors, but to readers who fail to discover some of the books they would enjoy. Moved over from the SFF Insider Blog to the Night Owl Reviews blog on 5/1/2010.